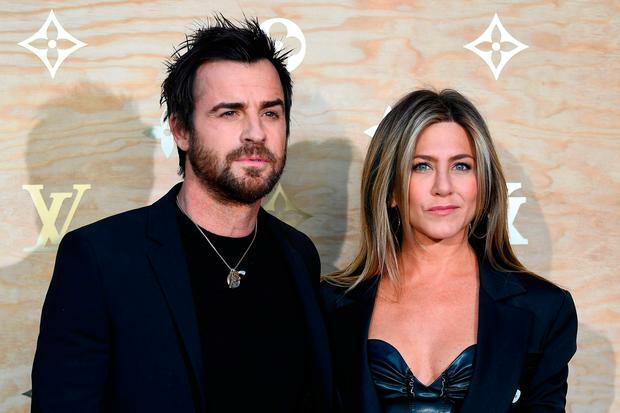 Jennifer Aniston and Justin Theroux are in Louvre. The Golden Globe-nominated actress (48) and The Leftovers star (45) are known for keeping their romance under the radar but are breaking their own rules with a second red carpet appearance in the last week. The loved-up pair, who wed in 2015, attended an exclusive event hosted by Louis Vuitton celebrating the launch of the brand's collaboration with Jeff Koons, in Paris. And the French fashion house went all out in providing its guests with money-can't-buy access at The Louvre to host the fashionable affair. Despite the influx of A-listers including Michelle Williams, Miranda Kerr and Cate Blanchett, all eyes were on Jen and Justin, who genuinely look like they are mad about each other. There are no slobbering kisses, lingering eye gazes or OTT public displays of affection to benefit the press, just a few token poses together and off they go. But not before Jen-An reminded the world why she's considered one of the most beautiful women in the world. Meanwhile, Theroux has been gushing about his wife of two years to anyone who will listen. "Marriage makes the small things much smaller and the big things small. You have an ally. It’s good to have someone have your back," he told Rhapsody Magazine.